Starting 20 November, only the State Bureau of Investigation (SBI) can investigate crimes committed by top state officials. 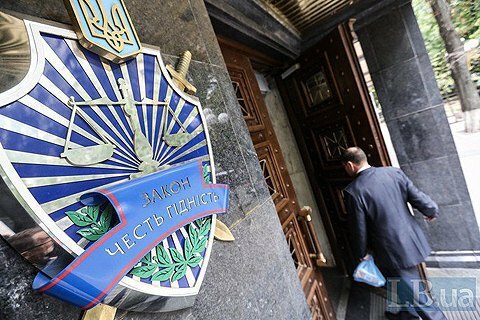 The Prosecutor-General's Office of Ukraine lost the right to initiate investigations, according to the Final Provisions of the Criminal Procedure Code that came in to force on 20 November. The PGO had the right to investigate crimes falling under the jurisdiction of the SBI for five years since the enactment of the revised Criminal Procedure Code (November 19, 2012) This term expires on 20 November, 2017. As of this date, only the SBI investigators have the right to probe into crimes committed by ex-presidents, senior government officials, members of the Central Election Commission, Verkhovna Rada deputies, heads the Prosecutor-General's Office, the head of the National Bank, judges, and law enforcers. The SBI also has the authority to investigate crimes committed by the National Anti-Corruption Bureau detectives and the prosecutors of Specialized Anti-Corruption Prosecutors' Office. The SBI also has the jurisdiction to investigate war crimes. Under the Transitional Provisions of the Criminal Procedure Code, PGO investigators can continue the investigations begun before November 20, 2017. These investigations cannot last more than two years. A bill by the parliamentary committee on the legislative support of law enforcement activities submitted on November 10, suggested postponing the handover of the investigation functions from the Prosecutor-General's Office to the SBI until 1 January, 2019. However, the Verkhovna Rada on November 16, failed to put the bill on the agenda and, accordingly. On 16 November, a contest commission selected the former prosecutor Roman Truba for the post of the director of the State Bureau of Investigation. Truba said he hoped that the SBI will be able to start working in June-July next year.